Home/Uncategorized/PLEA TO BIG CHOCOLATE TREAT MAKERS! PLEASE HAVE “PEANUT FREE” LABELS ALL YEAR “ROUND! I love chocolate, you love chocolate, we all love chocolate! Well, most of us anyways (food sensitivities and personal taste aside). 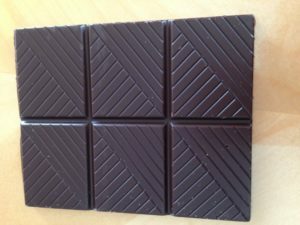 Chocolate comes in many flavors, be it milk, dark, white or caramel, to name a few. In particular, the appearance of the “peanut free” label on chocolate for the valentine day holiday is great, but that label is needed all through the year. Curious, that while grocery shopping, one of my children brought a “peanut free” item to my attention during the valentine period, This unexpected labeling was followed by this question: “But why just now,? It’s not fair!” It is a valid question and comment from a child in a peanut sensitive family and one that needs to be discussed. There are also chocolate products that do contain peanuts and nuts. These products are clearly identified, if not in the name, then in the ingredient listing. It is clear and there are no “may contain…” or “may have come in contact with…” peanut cautions. The larger chocolate companies are so important in setting the standard for chocolate accessibility and availability for all. Not to mention, money is being left on the table without the assurance of “peanut free” chocolate products. Absence of the “peanut free” label or mention of may have come into contact and traces of peanut, will exclude sales from those families with peanut allergies but also include the education, sport, recreational and cultural organizations. Appropriately marked “peanut free” chocolate will make for a win/win situation!